New Players Only. Wagering occurs from real balance first. 50X wagering the bonus or any winnings generated from free spins. Contribution may vary per game. Available on selected games only. The wagering requirement is calculated on bonus bets only. Bonus is valid for 30 days / Free spins valid for 7 days from issue. Max conversion: 5 times the bonus amount or from free spins: £/$/€20. Maximum winnings from the Eyecon free spin bonus is £/$/€50.Full Terms apply. The History Channel has to take some responsibility for bringing Vikings back to the front of our minds. The hit TV series has created millions of Nordic fans, including many gaming studios. We’ve seen Viking inspired slots galore, including Iron Dog Studios who releases its latest Vikings Wild slot. But does it have the power of the old gods behind it to take on the competition? In conjunction with Crazy Tooth Studio, Microgaming recently gave us a slot worthy of the gods. A six reel, 4,096 Ways to Win slot that promises much and delivers plenty, Arctic Valor displays the true power of the Valkyries. Set atop a mountain with Asgard in its sight, we get icicles, we get warriors, we get weapons. And we also get the chance to win up to 2,700 times our stake on every spin. So there’s that. What could possibly put these champions in their place? Why the OG Vikings that merge magic with history, of course. 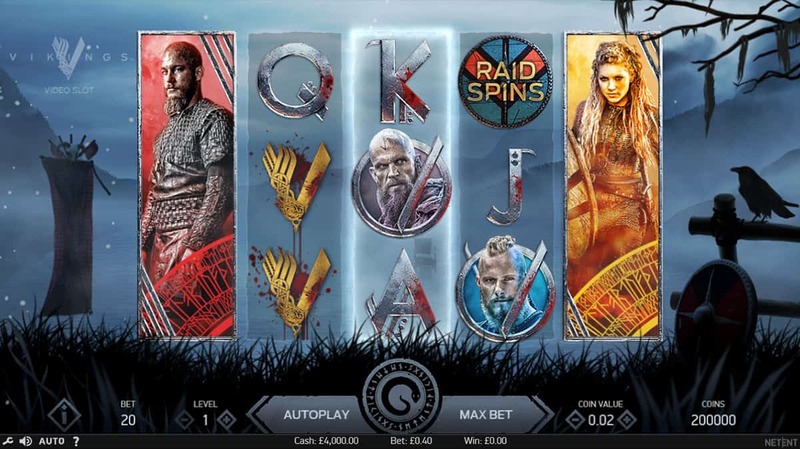 The ones from the hit TV show – Ragnar, Floki, Bjorn and Lagertha, who all make an appearance on NetEnt’s Vikings slot. With reels that expand from five to seven and paylines from 243 to 78,125, to say there are enough ways to win to keep a warrior happy is an understatement. Especially when we have Raid Spins, Hotspots and the chance to win up to 10,000 times our stake to back them up. Now, that’s how you make a Viking slot. Iron Dog might give us another excuse to enjoy Vikings in slots form. But when we want to see brazen warriors and join them on epic adventures, Arctic Valor and Vikings are the slots to set sail to.